Regular football practice ends this week and then we gear up for the playoffs! 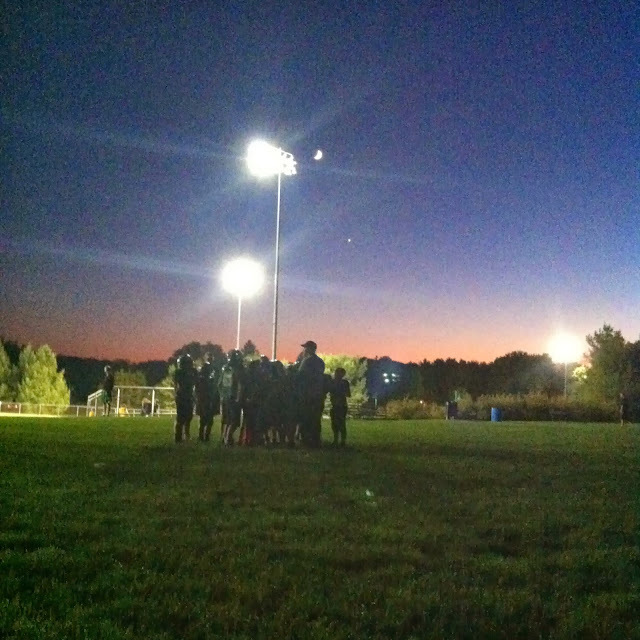 The boys are practicing under the lights every night to get ready for the tough games in the coming weeks. Living in Steeler Country, I also like to make Rally Towels for the fans to wave during the playoff games! 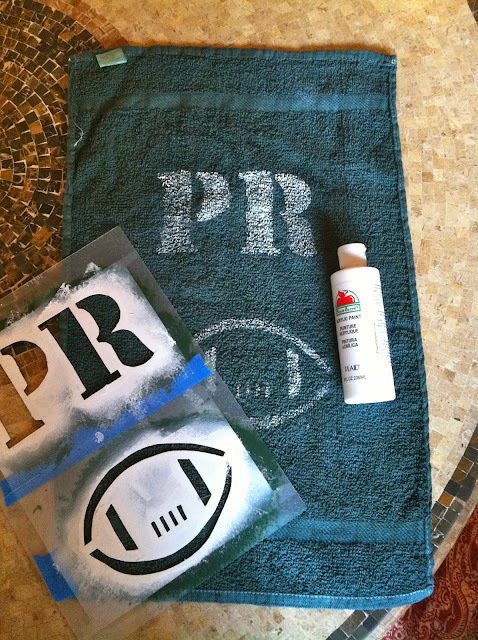 I actually made this stencil a few years ago and I keep it in a special spot so I can pull it out every season to make our team's towels. I have made the towels a few different ways, but this year I feel like the method is refined and it's easy enough to whip up a few towels each night during practice. Before long, I'll have 30 towels ready for waving! Rinse towels and place in dryer according to directions on package. What dollar store did you get the towels at? I'm trying to make these for our team for the playoffs but having trouble finding them and at a reasonable price? And awesome idea on the stencil. I love this post thanks so much for sharing! I found mine at The Dollar Tree in Pennsylvania. I hope this helps!